Emergence and Complexity: ... 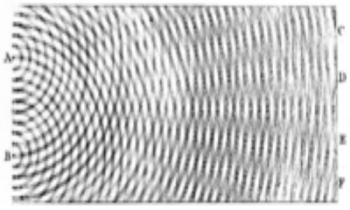 These issues connect physics to information theory, biology, and even consciousness. Understanding the Quantum Nature of Reality: Quantum mechanics is our most comprehensive and successful way of understanding reality, but even after decades of effort we still don't understand quantum mechanics itself. Dr. Carroll has developed a new approach to understanding how probability arises in quantum mechanics, and is investigating the foundations of quantum theory to better understand the emergence of spacetime, the nature of locality, and the appearance of multiple worlds. Your contributions will support Dr. Carroll's research as he investigates fundamental challenges in theoretical physics. If there were any chance Carroll would make significant progress on any of those issues, Caltech would give him tenure and promote him to professor. I hate to dump on the guy, but he has become a prominent physicist publicity-seeker, and he uses his position to promote crackpot ideas. He believes in many-worlds. Another big cosmology publicity-seeker is Neil deGrasse Tyson. Wikipedia is still debating inserting info about his bogus quotes. My complaint was that it was not just a misquote, but it was nearly the opposite of what the President said in his justification for war. Julia suggested and Tyson agreed that Dawkins uses C.E. and B.C.E instead of BC and AD. This simply isn't true. For example here is a line from The God Delusion, "Arius of Alexandria, in the fourth century AD, denied that Jesus was consubstantial..." (Dawkins 2006, p. 33). Dawkins uses BC and AD. It was also implied that the fact that Tyson enjoys things like Handel's Messiah, Jesus Christ Superstar, and art at cathedrals was somehow different from Dawkins "ardent" atheism. Dawkins has no compunction about liking religiously themed music. He writes, "I once was the guest of the week on a British radio show called Desert Island Discs. You have to choose the eight records you would take with you if marooned on a desert island. Among my choices was Mache dich mein Herze rein from Bach's St Matthew Passion" (Dawkins 2008, pp.110-111). I can understand Tyson not wanting to get sucked into the atheist social justice warrior crowd, but he needs to learn to get his facts straight. If he is going to give a speech, if the main point of the speech is to attack Bush or Dawkins, then find out what they really say. The mistakes are so obvious that one sometimes wonders how serious scientists could make them. I have also argued here that those arguments against free will are fallacious. And that, as I persist in telling my friends in science whenever they raise the issue, is why I advise them not to get too close to Templeton. This is a foolish anti-theology bias. Maybe Dennett is the sort of ardent atheist that Tyson wants to distance himself from. This book can be evaluated on its own merits, and I do not see that the funding makes any difference. No more than other books and articles, anyway. When BICEP2 announced their inflation evidence, they were saying something that would seem to please their funding agencies. So they were biased to find inflation. 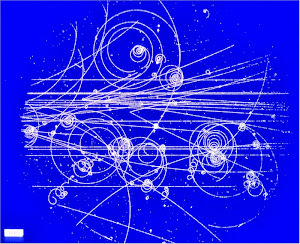 The LHC was biased to find the Higgs. If you reject these sorts of biases, you will reject much of modern science. I would think that the administrators at Cal Tech must be wondering what Sean is up to, after all, he is employed there, would not his employer be the party responsible for funding his 'research' and not be too keen about crowd sourcing? As for his blurb about 'finding out how probability arises in Quantum Mechanics', I would ask why he needs to research this. The only reason probability is in QM is because is was put there intentionally by Niels Bohr in the first place. How does Carroll think it got in there? Random Mutation? Evolution? Multiverse spanning anthropic principal pandering technobabble? Horror of horrors...it got there by his evil arch nemesis, (not so) intelligent design. Shut down 80% of the universities. They are filled with con artists and communists.